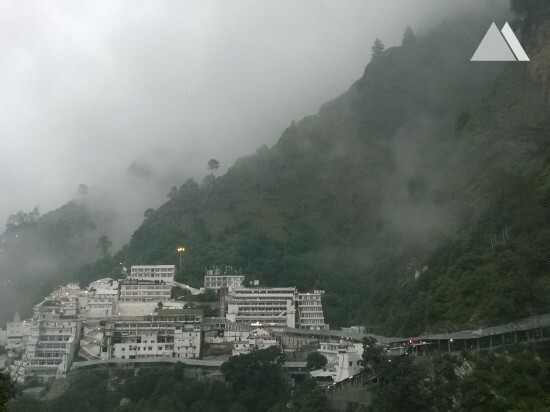 There had been several cases of rockfall and landslides in the trek route of the Holy Shrine of Mata Vaishno Devi. 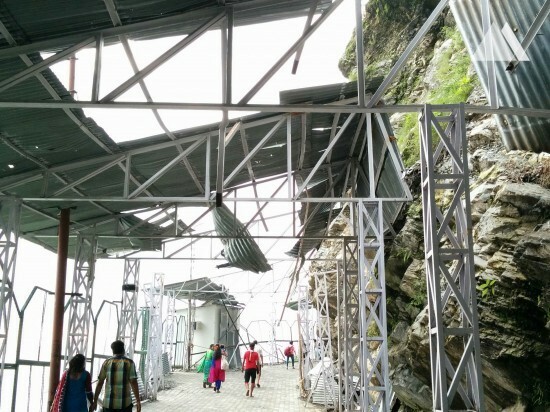 Therefore, the Shrine Board decided to actively stabilize the 75º and higher steep slope, up to a maximum height of 70 m in this section. A protective measure had to be selected to stabilize the exposed cutting against superficial instabilities, tilting as well as sliding of individual blocks and rockfalls. 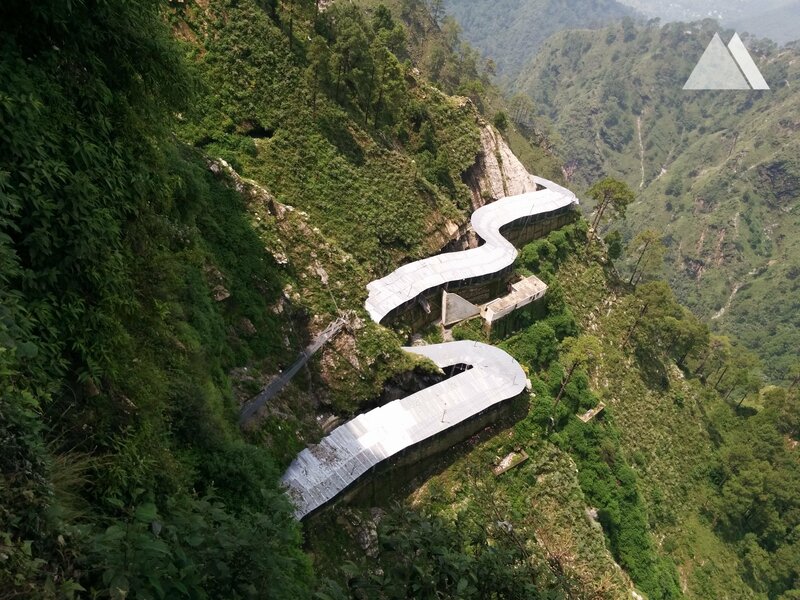 The flexible slope stabilization system consists of TECCO® G65/3 high-tensile steel wire mesh and QUAROX® rolled cable net, system spike plates and soil nails has been selected. Spike plates which match the load capacity of the mesh serve to fix the mesh to soil or rock nails. 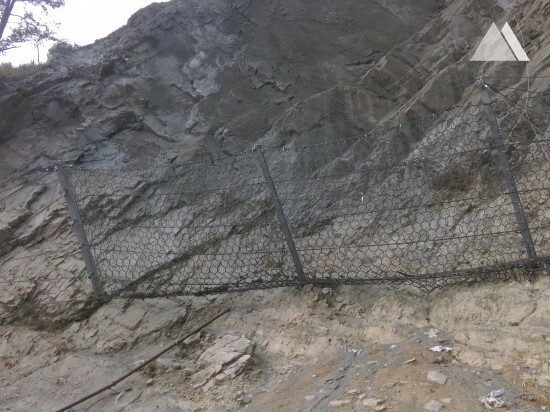 By tensioning these nails, and recessing the spike plates into the ground, the mesh is adequately tensioned to ensure it follows the surface contours. 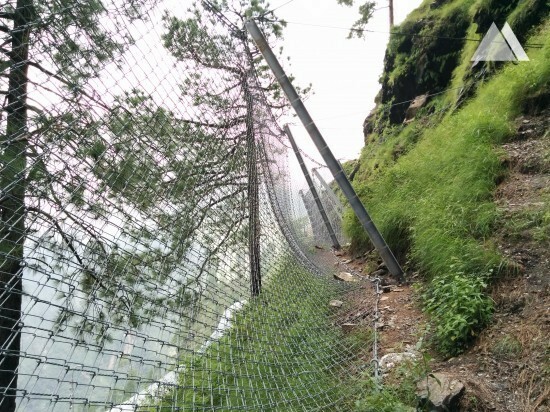 Based on the survey results, the authorities also decided to apply a rockfall protection barriers from Geobrugg. 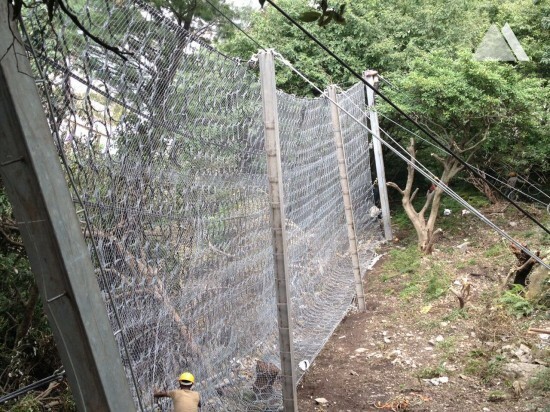 With its ring nets made of high-tensile steel wire the barrier design has been tested and approved to absorb impact energies of up to 8000 kJ. 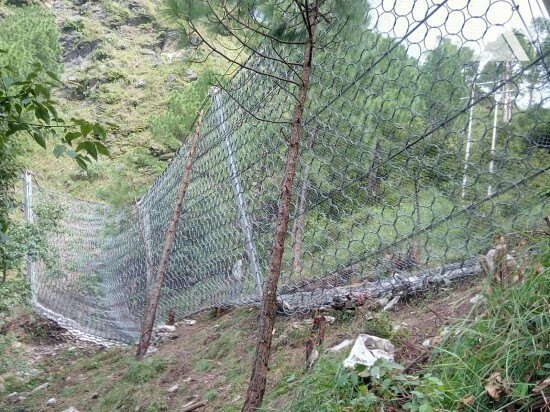 A total number of 15 barriers were installed in different locations with energy absorption capacity ranging from 3000 kJ up to 8000 kJ.